Competition Time: Show Us Your Best ‘Fakeation’ Selfie! 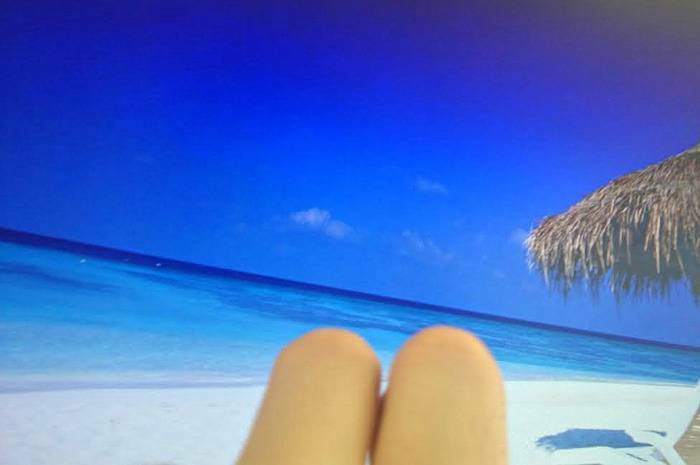 Now obviously, at dealchecker we’re all very hard at work searching for the best travel deals on the web. 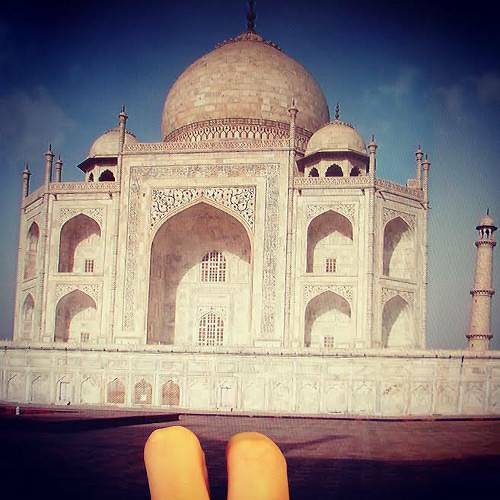 But when we hear about new crazes like fakeation selfies, well, sometimes we can’t resist getting involved. What’s a fakeation selfie, we hear you cry? Well, it’s a selfie that looks like you’re on holiday, but you’re actually still at home. You crafty old so-and-so. We were keen to see who in the office could come up with the best (or least worst) fakeation shot. And you can enjoy the fruits of our labours below. Yes, that’s right, they’re all fakes – but we’re sure we’d have had you fooled. And now we’re opening the competition up to our readers, with a fabulous prize up for grabs! Share your fakeation pictures with us on Facebook, Twitter or Instagram, and if we think yours is the best you’ll become the proud owner of a brand new digital camera – the very thing for flaunting your photographic skills. You can find full T&Cs below. Happy snapping! Hannah’s beach selfie…after one too many piña coladas, perhaps? 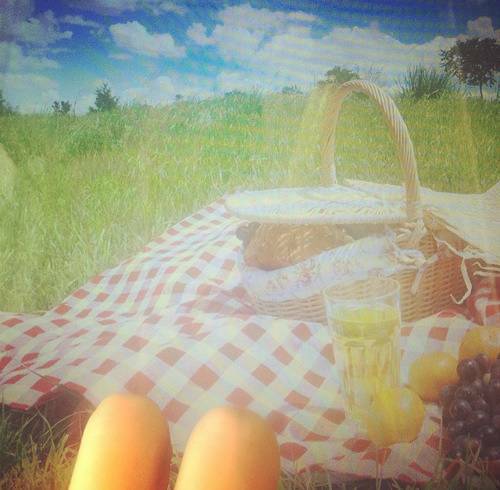 Fruit, a pretty wicker basket, a checked blanket and sunkissed knees – this picnic selfie has it all. Hotels are made for relaxing, and if your idea of relaxing is lying on the bed the wrong way round, well, we’re not judging. Sightseeing can be tiring work. We can see why Rosie chose to down tools and put her feet up to enjoy the view. 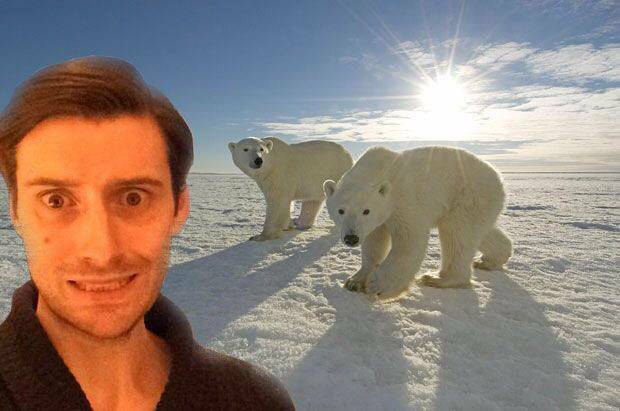 Simon putting on a brave face on an Arctic adventure. But we’re all dying to know – what happened next?! Alice likes nothing better than to chill out on a pier on her jollies, dangling her legs (yes, legs!) in the cool water. 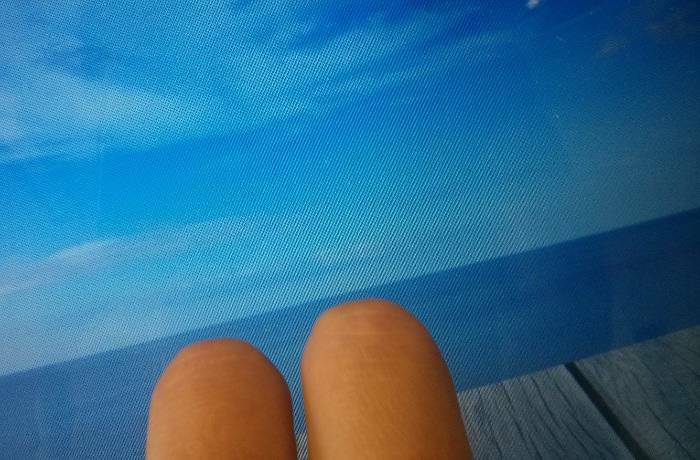 Paige admiring the sea view, safe in the knowledge that her legs in no way resemble carrots. We never said it had to be a holiday abroad! Enjoy the glorious summer weather in an English country garden. 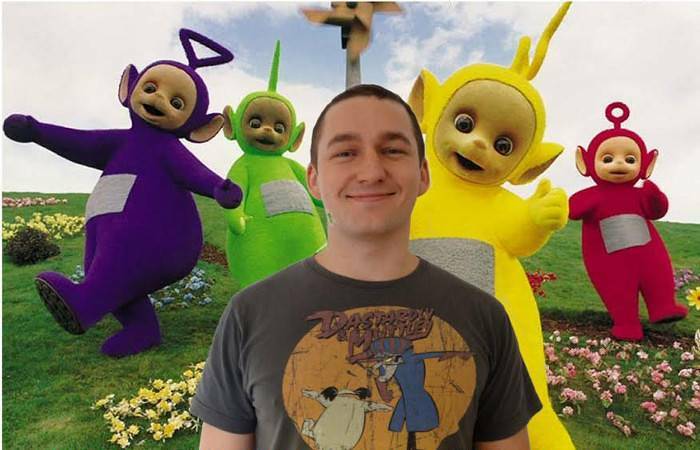 We’re not sure Marek quite understood the task at hand – either that or this is just his sort of holiday. Share your selfie with us on Facebook here by tagging us in it, or post it on our wall. Share your selfie with us on Twitter here by sending @dealchecker a tweet or mention. Share your selfie with us on Instagram here by tagging @dealchecker in it. Competition is open to all UK residents aged 16 or over excluding dealchecker employees, their families or anyone else associated with this competition. The winner will be selected at random by dealchecker and contacted by email within 7 days of the competition end date. Competition ends at midnight on the 30/07/2014. The winner will receive a digital camera. The prize is non-transferable. The competition winner agrees to the use of their name in any post-competition publicity. dealchecker.co.uk reserves the right to change or cancel the competition for any reason. Any changes to the competition will be posted on the dealchecker website.